I know the story of drug and alcohol addiction all too well. I know the exhilaration of the “high,” the altered personality, the way alcohol and prescription meds make the pain go away. I also know the descent into blackouts, the hidden booze in the coffee cup, and the bewildering concept that I could be an addict. These days, and for more than 25 years now, I know the clarity and light that come from living clean and sober, one day at a time. There was a lot I was running away from in my twenties — the hidden and denied pain of a difficult childhood and adolescence. Nowadays, it seems that a lot of people are running away from whatever their problems may be. We all hear about celebrity addiction from the likes of Lindsay Lohan and Britney Spears, in and out of rehab and then back partying all night at the club. We’ve been shocked and saddened by the tragic deaths of Michael Jackson and Heath Ledger, and all the other deaths of substance abusers — Kurt Cobain, John Belushi, Chris Farley, Russell Tyrone Jones, River Phoenix, Anna Nicole Smith. The list could go on and on. Just look at any entertainment news and you’ll hear about some celebrity heading to rehab. I’m not a celebrity, but I’ve helped many of them with their addictions. From my own experience and from working with thousands of people, I know the connection between the emotional problems we don’t want to face and the substances and behaviors that we use to buffer us from our problems. So for those of us who are addicts, we need all the help we can get. My first awareness of the possibility for abuse of prescription drugs happened when I was 14 and in boarding school. My older sister, who was married and lived near the school, kept setting a date to visit me but never showed up. My mother found out that my sister was addicted to prescription painkillers and didn’t trust herself to drive. Her husband was shocked because he hadn’t known. Women are very good at hiding their abuse. I had my first drink when I was 15. My boarding school roommate invited me to Las Vegas, where her mother’s boyfriend took us out to dinner and ordered spiked Shirley Temples for us. As I gazed in the bathroom mirror after dinner, I asked the girl I saw there, “Who are you?” I simply loved who I became when I drank! If only I had known then that how you respond to your first drink is a telling indication of whether or not you will wind up abusing alcohol. I was smitten from the first drink! Back home, my older brother and his friends supplied me with alcohol, but it wasn’t until I was a young attorney that drinking became a real crutch for my life. During my first year of law school I was in a lot of pain and the university medical center referred me to a pain specialist. He looked at me and saw a healthy 22-year-old. He figured I was just anxious about school and prescribed Valium. If I didn’t feel good, he said, I should just take more. I loved my little pills! It didn’t take long to up my dose from every 12 hours to every six. After all, I was just following doctor’s orders. I had refilled my prescription, then had the school give me one as well. I felt completely justified and never thought I was doing anything wrong. It was all legal, based on my doctor’s advice and prescription, but no one knew how much I was taking. I started drinking to excess soon after I began taking Valium, and would often combine the two. It never occurred to me that they didn’t go together. When a friend who was a physician saw me down a Valium with a drink, she told me it was a bad idea. When I told her I needed it to sleep, she said I might not wake up! I ignored her warning. As I wrote in Truth Heals (p. 130-132), “In a profession where public speaking is essential, I was afflicted with an overwhelming fear of it. When I was first out of law school and representing a client in a jury trial, I went to lunch with a colleague. Noticing my nervousness, he said, “Have a drink, take the edge off.” Oh, he was so right! I quickly got to the point where I didn’t just take the edge off, I took the whole table off! I stepped up my drinking and Valium use to handle my dread of being revealed as a fraud. I faked my whole life, pretending to be happy when I was scared, angry, hurt, or devastated. My descent happened fast. Soon I wanted to drink at lunch as well as at night. I was pulled over by the police a number of times, and in the little town I lived in, they would drive me home. My drinking eventually led to blackouts, which weren’t fun. I would wake up in a strange bed not knowing how I’d gotten there. I would find out the next day that I had done things that were embarrassing. Then one morning I called a client to discuss his settlement offer, and he said, “You did that last night.” I was mortified to discover that I’d had a whole conversation with a client and didn’t remember a word of it. The light bulb went on. I called A.A. at 11 o’clock that very night, talked to a woman on the phone for an hour, spent two hours emptying every bottle in the house, even the cooking sherry, and dumped the remains of my Valium stash. The next morning I went to my first Alcoholics Anonymous meeting. I was truly impressed with A.A.; everyone was speaking the truth. I had never told the truth. Never. And the alcohol had made lying incredibly easy. I quit drinking and Valium cold turkey on that day, which turned out to be far easier than stopping the lying. There is no secret to winning our freedom back from addiction. Gaining your sobriety — abstinence from your specific addictive substance — is the basis for recovery, and for that a 12-step program is an essential ingredient. For alcohol addiction help, of course, the granddaddy of all 12-step programs is Alcoholics Anonymous and the basic one for drug addiction help is Narcotics Anonymous, which deal with all drug addicts, no matter which particular drug or combination of drugs are being abused. In many places there are also 12-step programs for specific drugs, such as CA for cocaine, CMA for crystal meth, etc. All 12-step programs provide a recovery process linked with a peer support network that is invaluable for abstinence to work. If you suspect that you’re having a problem with an addictive substance, I urge to you run, not walk, to your nearest 12-step program. And keep coming back — it works! Having an introspective practice that helps you keep tabs on yourself. Acknowledging and releasing the underlying emotional difficulties that may have created a breeding ground for the addiction. I believe the greatest aid to maintaining sobriety, once you’ve gotten the basics down in a 12-step program, is to add some form of transcendental meditation or introspective practice to the mix. New research is indicating that meditation can help decrease substance use and relapse. I started a daily meditation practice shortly after I quit drinking and using, and I haven’t missed a day in over 25 years. It not only helps keep me sober, but sane too! Do what I did and learn directly from a teacher, not from a book or a tape, and don’t even think about just “sitting and focusing on your breath.” It’s way too hard to turn off your thoughts, especially for someone in recovery. Learn to meditate correctly and it’s like falling off a log. The increased awareness and mindfulness of meditation helps the addict avoid thoughts of substance usage, which can surface during recovery. 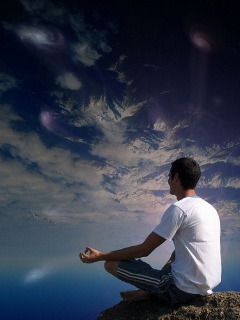 I teach meditation online here – you can learn easily in an evening, check it out. Moving meditation, such as any of the martial arts, can also help you deal with recovery. The awareness of breath in both meditation and the martial arts is very helpful for rebuilding both the body and the psyche. Addiction is a pointer to the truths we have buried inside. Whether through therapy and counseling or in other ways, it is necessary to see, feel, and speak any underlying painful truths that can allow healing to begin. Unless we discover our own truth, we will automatically act out when we are stressed or our dark side surfaces. In my own case, over a 10-year period I had dozens and dozens of sessions with alternative practitioners who helped me go deep into my emotions. I also had hundreds of massage sessions that helped me get in touch with my own body, where I’d stored much of the trauma of my difficult childhood. To find help where you live, check out Health Profs. Finally, I developed a daily practice of journaling that helped me get to the bottom of about how I really felt about myself and my life. One of the effects of drug and alcohol addiction is the way in which our brain chemistry gets scrambled. (And, for most of us, it was already a little off before we ever began drinking or using.) The user doesn’t really realize that they aren’t thinking clearly because it kind of sneaks up on you progressively over the years. I started beefing up my own nutrition right after I got clean and sober. Between taking in more nutrients, eating a balanced diet, and eliminating the alcohol that was depleting me of vitamins, I soon had a pleasant surprise: the bi-polar problems that had plagued me for over 10 years just disappeared! I had never realized that my problems with depression and mania started soon after I started extreme dieting, drinking, and taking Valium; what a coincidence! It’s amazing how much better your brain chemistry can work when you quit poisoning yourself and give your brain the nutrients it needs to function. To really understand this aspect of addiction, and learn what to do about it, read Staying Clean and Sober: Complementary and Natural Strategies for Healing the Addicted Brain, by addiction recovery experts Merlene Miller, MA, and David Miller, Ph.D. (Woodland Publishing, second edition). Learn how certain amino acids and various other nutrients can be combined with alternative therapies to improve recovery rates. There is an extensive resource section and a lot of very helpful advice, including a list of rehab facilities that provide nutrient supplementation. The founder of AA, Bill W., was himself a strong supporter of vitamins and nutritional aid for recovery. You can get this book from our library of recommended addiction books. One of the biggest areas of substance abuse these days comes right out of the medicine cabinet at home. Almost a third of all drug abuse comes with a prescription. The most recent statistics show an estimated 5.2 million Americans, age 12 or older, use prescription pain pills for non-medical purposes. Whether it’s mom filling extra prescriptions for her own use of the ADHD medication meant for her kid because it helps her lose weight, or dad scoring extra scripts for the Xanax that helps him get through a day at work, we’re all reaching for that pill bottle rather than doing the inner work of examining our issues and initiating changes in our lifestyles. The Partnership for a Drug-Free America says that those pill bottles are definitely not child-proof, as close to one in five teenagers (19%) abuse prescription meds to get high. The good news is that since 2001, there’s been a 25% drop in marijuana use, a 64% decrease in methamphetamine use, a 15% drop in binge drinking, and a 24% decrease in overall illicit drug use. Ask any teacher about the bad news: high school students with OxyContin addictions, eighth-graders stealing mom’s leftover Vicodin and nodding out in class. The shocking death of Michael Jackson really brought the problem of prescription drug abuse and celebrity addiction to public attention. What may have started as the use of pain meds to deal with the physical after-effects of his hair catching fire during a Pepsi commercial shoot in the 90s morphed into addiction to various prescription meds. It’s likely he was also trying to deal with the emotional pain of his childhood, not to mention the trauma of his trial for abuse. Whatever was behind his prodigious insomnia that led him to the IV use of the anesthetic Propofol (along with Valium and Ativan) in order to sleep eventually led to his untimely death. And just like Jackson had prescriptions for various drugs from numbers of doctors, most mere mortals who develop an addiction to prescription meds also have no trouble securing their legal substance of abuse. Not to mention the 800,000 web sites that sell prescription drugs and ship them right to your home! Real help is available. Don’t ever think you can’t stop. You can. 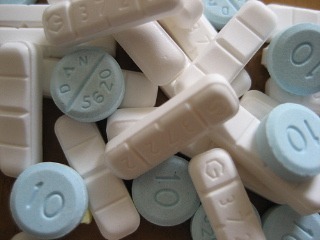 Whether you are abusing opiods (the most commonly abused prescription drugs, such as morphine, codeine, OxyContin, Vicodin, and Demerol), CNS depressants (anti-anxiety and sleep disorders meds, such as Valium, Librium, and Xanax), or stimulants like Ritalin and Dexedrine, call the The CSAT Drug Information, Treatment and Referral Hotline at 800-662-HELP. Check out the National Alcoholism Drug Addiction Information Center’s web site. And for information on drug addiction help programs call 800-784-6776. We have a love/hate relationship with alcohol. On one hand, it’s the ideal social lubricant. Drinks with a client at lunch, a pitcher of beer at the neighborhood barbeque, the toast to the bride and groom, the kegger at the frat house. Then there’s alcoholism: hanging out with others simply because they drink. Sneaking a quick shot when your partner’s back is turned. Having a list of perfect excuses for downing yet another. Drinking by yourself. Using your coffee mug to hide the vodka you sip throughout the day at work. Stashing bottles around the house and in the car. Waking up hung over, not remembering what happened last night. Kaylie Jones, the daughter of writer James Jones, has written a memoir called Lies My Mother Never Told Me about her legacy as the daughter of famous and alcoholic parents. By the age of 15, she thought “there was no fate worse in life than to end up an alcoholic and no longer be able to drink.” Just before she turned 17, her father died and she drank yet more. She had been taught that alcohol was the perfect fix-it for almost any problem. Purchase the book through our recommended alcohol addiction reading list. Like Kaylie, I too believed that “a little shot of booze was the answer to almost anything — illness, heartache, good news and bad news alike.” Alcohol made everything so much fun, at least for a while. Like the time I followed up a day of skiing in Tahoe by drinking half a bottle of schnapps while soaking in the hot tub, then getting in my car and driving home — completely naked. I was lucky. I didn’t kill anyone. Diane Schuler, a Cablevision executive and “good” wife and mother of two, wasn’t as fortunate. With a blood alcohol level more than twice the legal limit (and a high THC level indicating recently smoked marijuana), and a comforting bottle of Absolut vodka — the preferred drink of alcoholics — in her minivan, she drove the wrong way on the Taconic state parkway and crashed into an oncoming SUV, killing the three men in that vehicle, as well as killing her two-year-old daughter, three young nieces, and herself. Women have a lower body mass, so alcohol hits us harder and more quickly. In other words, women get intoxicated after drinking less alcohol than men need to get inebriated. But she had enough alcohol in her to knock down a much larger man. Whatever their addiction of choice, women are especially good at hiding their problem. It can be a deadly secret. FBI statistics show that the number of women arrested for DUI across the nation was 28.8% higher in 2007 than in 1998, while it was 7.5% lower for men. And women are often driving kids around, like the daughter of Supreme Court Justice Antonin Scalia, who was sentenced to 18 months of court supervision after being pulled over for driving drunk — with three kids in the car. As a spokesperson for MADD (Mothers Against Drunk Driving) said: “It’s the ultimate form of child abuse.” And as with all addiction, the demographics for drunk driving are across the board — income level, race, religionâ€”none of it makes a bit of difference. Not only do women learn to keep their bottles or pills hidden away, they hide their addiction from themselves as well as from others. They may not even consider that they are, in fact, addicts. It doesn’t surprise me at all that Diane Schuler’s husband claims he never saw her drunk. If in fact she was an alcoholic — and the bottle of vodka in the minivan speaks loudly — it is very likely he had no idea how much or how often she was drinking or using. He’s in such denial that he’s started legal proceedings to have her body dug up for further testing to prove she wasn’t drunk. Had he been the one driving drunk that day, it would have been readily accepted. The cultural belief is that men can drink a lot, but woman, especially mothers, don’t drink to excess! Schuler was a good mother, so there is disbelief that she could have been an alcoholic. Woman are that good at hiding their drinking, even from those closest to them. It’s just not acceptable for a woman to appear tipsy, never mind smashed. You have a polite pre-dinner cocktail with your husband, and no one finds the bottle at the bottom of the laundry basket or behind the canned goods at the back of the pantry. Addiction is shameful, so the addict is a master of appearing “normal.” After all, if someone suspects you’re an alcoholic, they may try to get you to stop. It really doesn’t matter how many work or family responsibilities we have, if there’s a genetic factor involved, and/or if there’s an underlying emotional issue, once the substance has become addictive, you can’t stop the circus that lives in your head, and all three rings revolve around your addiction. Although I’ve been clean and sober for over 25 years now, I’m still an alcoholic. Addiction doesn’t go away. While I was on a grueling book tour recently, my usually well-controlled lifestyle was impossible to maintain. After some time on the road, I started to come apart. Although I carefully monitored my sugar intake after I quit drinking, since I know all too well the connection between hypoglycemia and alcoholism, I decided a little chocolate now and then was just what I needed to help with my exhaustion. 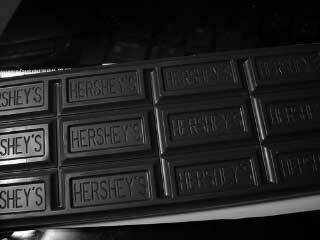 When I was at an airport waiting for yet another flight, I’d have a chocolate bar. Unfortunately, I was at airports almost every day. Soon I was buying “one for now, one for the flight.” Then I started hiding chocolate in my cosmetic case in the bathroom, and eating it in the middle of the night so my husband wouldn’t catch me at it. I knew all the signs of a chocolate addiction, but hey, I deserved a little treat in my harried life on the road! When the tour was over, I needed new excuses. I decided that whenever I had lunch out, I could rationalize having a dessert. I found lots of reasons to go out for lunch. When I realized I had to stop, I binged with a monstrous chocolate dessert at the Cheesecake Factory. I was deservedly sick for a week, and the sugar rush was over. Put enough stress on someone, and a dormant addiction will come back, no matter how long it’s been gone. It’s only when you continue to abstain — day by day — that you have no cravings. Alcoholics Anonymous and other 12-step programs teach the concept of HALT: Don’t get Hungry, Angry, Lonely, or Tired. 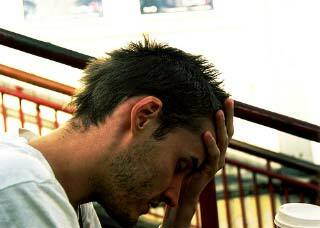 Stressful situations that might be simply a minor annoyance to some can be overwhelming for an addict. For example, being stuck in traffic for an hour might get you upset and unhappy, but for a recovering addict, they have to resist resorting to using a mixture of cocaine and pot, or downing a glass of wine or four or five. And sometimes the stress is so bad that continued abstinence is very difficult. Take the case of DJ AM (Adam Goldstein), who spun records at the world’s most exclusive parties and was once engaged to Nicole Richie. He grew up with a drug-addicted father who served time for bank fraud and eventually died in prison of AIDS. When Goldstein was a teen, he battled an addiction to crack-cocaine. After attempting suicide (the gun did not go off), he got help and was committed to staying sober, which he did successfully for the next 11 years. Then he was involved in the fiery crash of a private Learjet that killed two crew members and two other passengers. He was severely burned and deeply traumatized, but seemed to recover. His doctor, who described Goldstein’s “solid” sobriety, believes the Post Traumatic Stress from the plane crash played a major role in his relapse. His friends felt it was a tragic one-time relapse. Obviously, we want to help those we love when they are in trouble, but that’s not always possible. We must realize that when someone has become addicted, they are no longer the same person we knew. Psychologically, biologically, chemically, their brain has been altered. They will no longer think or react as they did before, and family members frequently cannot adjust to this new person. You may not realize right away, but they are no longer thinking and behaving as they once did. They may have lost a lot in their lives that was once important, yet they will act offended or angry if you question what they are doing. They may still believe that there is nothing wrong with them and that these losses aren’t a big deal. As a family member of an addict, the most important aspect of dealing with these situations is to realize that you are not responsible for the choices that they have made. You can disapprove, but to be angry with them or to feel guilty yourself is pointless. Help is available at Al-Anon and Alateen, or call 888-4AL-ANON (888-425-2666). To help your child, parent, spouse, or friend, you really have to help yourself first to understand the problem and learn how to deal with it. Counseling can help you with issues of anger, disappointment, or disapproval and allow you to cope with the addict’s behaviors, whether or not they ever recover. It will also help you to learn how not to be co-dependent and enable their addiction. Counseling will also help you to see what you may have been avoiding yourself. Your own emotional health must be clear if you are going to be of assistance to the addict. You might also consider coming to one of my Truth Heals workshops, either alone or in the company of the addict who is willing to receive help. Unfortunately, in the world of allopathic medicine, there is no clear indication of what causes a person to become addicted. Experts in alcohol and substance abuse agree that heredity definitely plays a part, as the children of alcoholics are more likely to become alcoholics themselves. Experts further agree that while many addicts share some personality traits, there are no traits that condemn someone to life as an addict. Addiction is generally considered as a disease for which an individual needs treatment. There are many organizations devoted to assisting addicts in overcoming their compulsive desires. The bottom line in any of these programs, however, is that the person has to be willing to wage a lifetime battle against the urge to relapse. There is a vast amount of information available about all forms of addiction and treatment. Visit the Addiction Recovery Guide web site for helpful information, which includes various treatment options ranging from intervention to mental health practitioners to outdoor therapy and youth services, medication for addiction, holistic approaches such as acupuncture and homeopathy, and tons of information on books, radio, and media about addiction. They also have a guide to residential treatment programs. Help is available at so many levels, in every city and town across the country. Don’t allow addiction to keep you feeling helpless and alone. I’ve been able to stay clean and sober all these years; you can too. It’s not easy, but then again, the hero’s journey never is. And conquering addiction makes you a hero in the eyes of your family, your friends, your co-workers — everyone who knows and loves you. Why settle for anything less?